If you’ve fallen off the training plan wagon or not sure if you’re making the progress you had hoped to make, you can apply the principles of progressive overload to pick things up from where they are now to move you forward. Xert uses these principles to identify the amount and type of training you need to perform to maintain a consistent progression towards your goals. Progressive overload is the foundational principle of all training. In the most simplest terms, in order to get any progress in fitness (or any endeavour for that matter), you must train at a level that is higher than where you are now. By continuing to add more, either volume, intensity or specificity, you make gains towards your goals. The key to making progressive overload work for you is by knowing where you stand today and by increasing your training towards your goals. Often the hardest challenges, particularly when you’ve been simply following a training plan or have had some interruptions in your training is to know where you stand today and what training will apply the principles of progressive overload in the right way for you. Let’s dive into each of these to understand how they play a role in identifying what training you need to do and how they are used to help you maintain progressive overload. Improvement Rate is the main setting you’ll use within XATA to help deliver progressive overload. Ranging from Off-Season to Extreme-2, it is used to capture the improvement you are able to make within your available time. 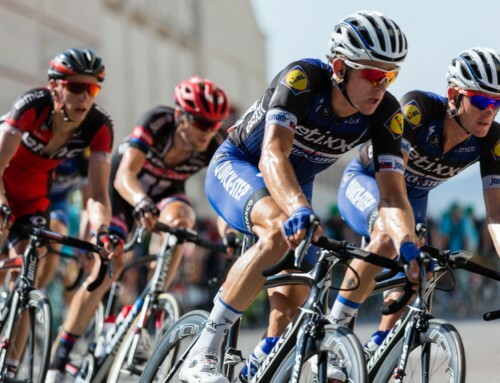 Unlike regular training plans where you may need to commit to so many hours per week for the duration of the plan, actively managing your improvement rate allows you to adjust your training in periods where you may have less time for training or to take advantage of some additional availability you may encounter. The Improvement Rate is what is used to determine the volume of training you’ll need to perform. XATA looks at your recent training history to determine if you’re behind or ahead of schedule (Training Deficit/Surplus) so that you know if you are maintaining progressive overload. Keeping a Training Deficit near 0 means you are maintaining your improvement rate, which means you are making progress towards your goal. XATA uses your deficits in prescribing suitable training. Important to note is that your improvement rate doesn’t have to be set in stone from the beginning to the end. It is something that you’ll set initially but may change over the course of your season to better reflect your goals or needs. For example, you may have less time during the winter months to train given a busy work schedule but have more time in the spring. This may mean you set your improvement rate to Moderate-1, say, for February-March but up it to Aggressive-2 during April. XATA adjusts its recommendations which each change. Experiment with different settings to see the time commitment needed and the expected improvements you’ll have with the setting. Your selected Athlete Type is the second main goal used by XATA in setting your training plan. Your Athlete Type is what XATA uses to periodize (or adjust the type of training) you do in order to reach your goals. By adjusting your Athlete Type as needed, you can adjust the specificity of your training and have it become more and more specific to your training goal the closer you are to your Target Event Date (see below). 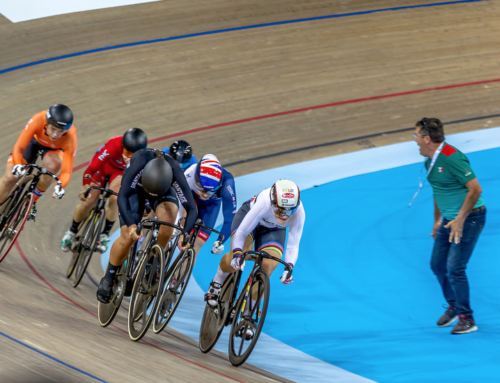 You can actively manage your Athlete Type and change it at any time to accommodate the differing demands of your targeted races. 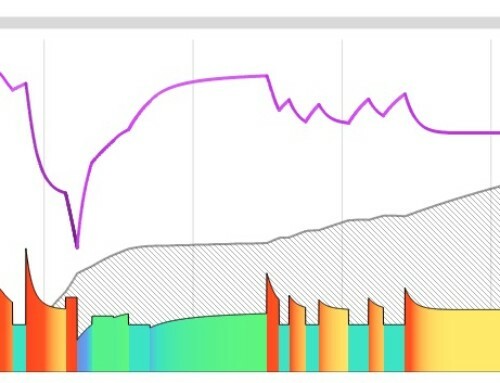 For example, if early in the season you are planning on longer road races that have a Focus of Climber or GC Specialist but a month or so later, you plan on racing crits for example, set your Athlete Type and Target Event Date to get a more Climber/GC Specialist focus before your longer road races and then switch to Pursuiter or Puncheur to get a more crit-oriented Focus. Making these changes, you’ll get updated training targets together with recommended workouts you can do that will prepare you for these races. Your Target Event Date (TED) is the third main goal used by XATA in identifying the appropriate training towards you goals. Your TED marks the end of the 120-day training program used by XATA .. but it shouldn’t mark the end of your training. Using your TED, your workout recommendations will follow the Base-Build-Peak phases with 45-45-30 day durations, respectively. The Base Phase has you doing Endurance training. The Build Phase has you progressively moving your Focus from Endurance to reach your Focus Athlete Type after 45 days. The Peak Phase has you doing Focus Athlete Type workouts exclusively, with some minor variability. Use the 120 day program phases to your advantage by actively managing your TED. 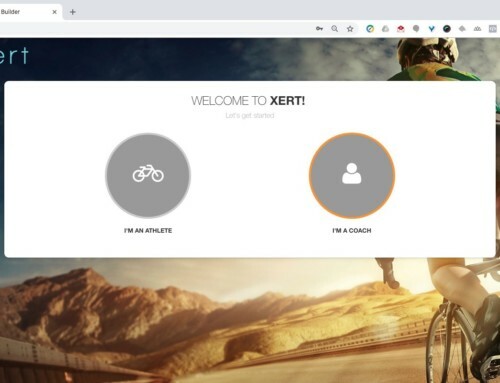 Unlike other training plans where all your events are first identified and classified as A-B-C events, for example, XATA does not use (nor require) that you pre-identify these races. You simply need to adjust your TED and/or Focus Athlete Type to get recommended training to prepare you for these events. For example, if your A event is June 15th but you have a B event on May 15th that you’d like to also prepare for, you can simply change your TED to May 15th during your preparation. Adjust your Athlete Type if needed, and use the advice provided to prepare. On May 16th, set your TED and Athlete Type back to what it was before and keep training towards your A event. 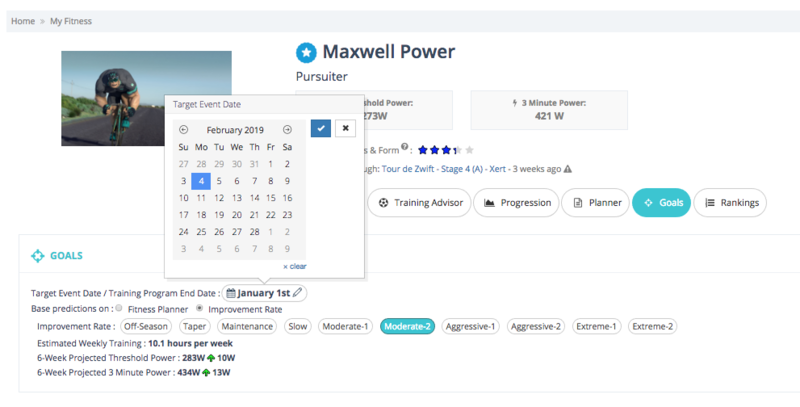 You can get everything setup quickly and easily by simply setting your Athlete Type, Improvement Rate and Target Event Date. XATA takes it from there and immediately will use this information to help you with managing your training and progress, regardless of what you have completed in your current training plan. Your Training Load and recent training data form the basis of how much training you need to do in order to maintain your progressive overload goals (i.e Improvement Rate). XATA uses your current Training Load, last week’s Training Loads as well as the amount of training you typically do on the given day-of-the-week to establish the amount of training you should perform. 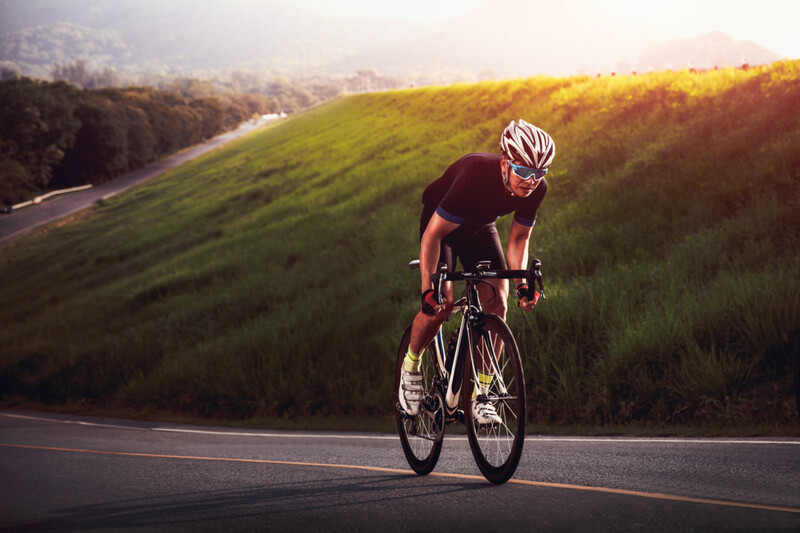 Whether you’re just starting out or picking up from a training plan that you weren’t able to follow, XATA puts your training in context to your current training load to make sure you continue to progress. In addition to being essential in establishing progressive overload, your Training Load is also used to identify how difficult your workouts should be. Workout difficulty and Training Load go hand-in-hand since in order to reach a Training Load level, you will have had to have performed a certain level of training volume and intensity. XATA uses this principle to help identify workouts that are in-line with what your current Training Load implies you can do. All workouts and recommended Focus is based on your Fitness Signature. 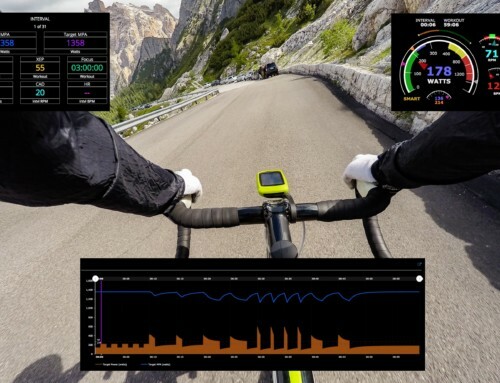 By having a up-to-date Fitness Signature, your workouts are tuned to you automatically, beyond just %FTP and based on your ability to do higher intensity efforts as well as your specific ability to recover from higher intensity efforts. Review our blog on Are your Workouts Too Hard? to see how XATA automatically scales workout intensity for you, ensuring you get workouts that are specific to you. The third condition, and just as important as the first two, is your Training Status freshness level. XATA examines this information to identify if you should be able to handle higher intensity, lower intensity or require recovery. XATA accounts for your current training status in its recommendations ensuring you are most likely to be fresh enough to complete the higher intensity workouts. XATA also uses your Freshness Feedback to help you instruct XATA about your real feelings of freshness/tiredness so that it can properly prescribe training that meets your specific needs and situation. XATA bring all six elements, your 3 training goals and your 3 essential conditions to prescribe training that moves you towards your goals within the context of where you are in your training, fitness and freshness. Should I Plan My Workouts? 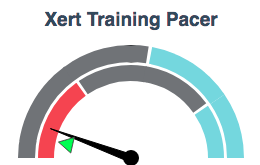 Many new Xert users are used to seeing workouts identified in their plan in advance – a typical static training plan. For those users that are most comfortable wanting to know what the plan is for a given date, you can use the Fitness Planner and map out your workouts. However, planning workouts in advance isn’t entirely needed. As you can see from all the above information, the training offered by XATA takes a number of things into account in its recommendations to ensure you get focused, progressive overload at the right difficulty within your available time to train, in the context of where you are at any given moment. This is the plan everyday, whether it is on your calendar or not. If you decide you want to change your goals, XATA adjusts immediately. If you go away on a training camp, XATA adjusts to that automatically. Simply keep actively managing your 3 training goals, keep training, and XATA takes care of the rest. What If I Don’t Have Time to do the Recommended Workout? This is a very common question and just like XATA is able to adapt to each situation with each change in condition, so will it adapt to your schedule. For example, use the Workout Options Filter to choose a workout that is shorter/longer in duration to accommodate your immediate needs. Say for example, you may normally do a 1-hour workout on Thursdays. XATA will likely recommend an approximately 1 hour workout. However, you happen to have 2 hours available and want to take advantage of that available time, simply use the workout filter to have XATA choose from, say 1.5 to 3 hour workouts and it will help you find a workout that’s best for you within that workout duration, ranking those within that range higher in the recommended workouts list. 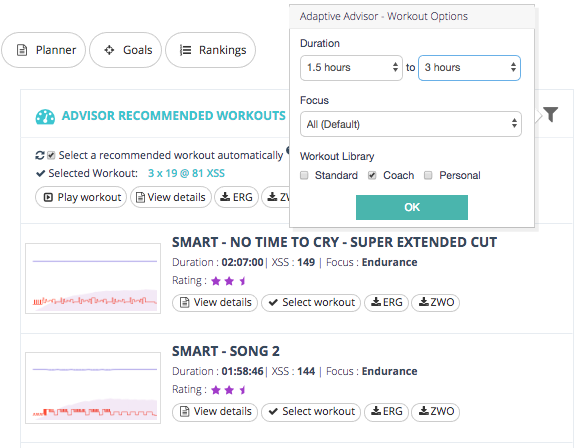 Alternatively, you can use the Load More button at the bottom of the Recommended Workouts list to see more workouts, ranked in order of Xert’s internal scoring based on your 3 goals and 3 conditions, and choose a workout you wish to do. Simple and will keep you on track with your training goals.